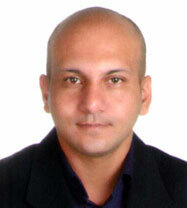 Sidharth Dogra is Founder and CEO of In Links Communications Pvt. Ltd, parent venture of Jammu Links News, the local news portal from Jammu that provides a pioneering mix of breaking news, entertainment, and shareable content. While pursuing his bachelors of engineering course in southern India during the early nineties, he felt the urge to showcase Jammu to the world, to create a space that could provide information of interest to people seeking to understand the culture, history and economy of Jammu. He founded Jammulinks.com, the very first informative portal of Jammu. The site aimed at an opportunity to the people of Jammu to provide broader visibility to their business and commercial ventures and link them to the world at large. Despite of having an engineering background and have tasted success as a triumphant entrepreneur, Mr. Dogra with his farsightedness understood the digital revolution in the information and news sector. After the colossal success of Jammu Links, Sidharth Dogra launched Jammu Links News in July, 2010 and is its Editor (Executive) since then. Under Dogra's leadership, Jammu Links News has grown enormously, with editors and supporting staff creating engaging local content and keeps the world updated about Jammu and Kashmir. Gaurav Sharma is Managing Editor at Jammu Links News. Since joining the company in 2011, Sharma has built a reliable newsroom online, led expansion and built teams across the state. Under his leadership, Jammu Links News coverage has grown to include local news including politics, business, investigative reporting, long form journalism, and entertainment while growing the site's traffic to over 6,00,000 monthly page views. Prior to Jammu Links News, Gaurav Sharma has worked for companies like InfoTech, ICICI, and Infosys etc. An MCA by qualification, Sharma have served as testing Engineer for big companies like Infosys etc. Journalism always attracted this young engineer and he wrote many articles and stories for leading newspapers. He was also offered editorial jobs in many publications which he did not pursue. This native from Jammu was on his work break when he came in contact with Sidharth Dogra who was then thinking to launch Jammu Links News and since then this talented young engineer who possess dynamics of an ace editor is the Managing Editor with the company. Born 29 August 1953 at Lakhanpur, Jammu, Dr. Lalit Gupta is an Indian art historian, columnist, actor and film maker. He is associated with the prestigious projects that document the heritage, paintings and sculptures of Jammu and Kashmir, and he has created a rare archive of photos and slides of important monuments and art works from all three regions of the state viz., Ladakh, Kashmir and Jammu. 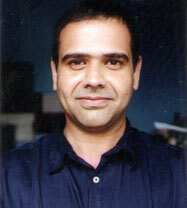 Dr. Gupta completed his PhD Degree from University of Jammu, on Buddhist Art in 2009. He regularly presents papers in National and International academic seminars, conferences on various areas related to heritage, culture, literature and history of art. He has been associated with various television channels and has directed more than 50 short films, documentaries on various aspects of Art, Culture and Language. He is a popular columnist of the state. Though hailing from a well known business family of Jammu & Kashmir state, Shail Gulhati is a practicing Shaivite mystic. He has authored two books. The yogi and the snake", a parable set in a mystical dialogue format between a seeker whose self esteem is low and the supreme spiritual master Shiva, who unfolds the secrets of spiritual pluralism that bridge the gap between ancient mystic wisdom and contemporary spiritual understanding. Shail Gulhati has participated in the third international seminar on Kashmir Shaivism, and also the 19th SAARC writer's summit, with poems. He writes spiritual articles regularly for Jammu Links News and leading newspapers. You can find reference of his works at Jammu Links News Facebook page and website. Col. JP Singh is a retired Army officer providing analysis of important issues of the state and of national importance, and writing influential and significant articles on the same. Col. Singh is a columnist, political analyst and social worker and lives in Jammu. His articles are published in leading newspapers of the city including the Daily Excelsior. Manu Khajuria is a founder member of Voice of Dogras, an initiative espousing the rights of the Dogra Community and their unique cultural identity. She is also a regular contributor to the largest selling regional daily in Jammu & Kashmir writing socio political commentaries on the relevant issues of the State. She is based in London and Voice of Dogras partners with KPCS UK who stand for the rights of Kashmiri Pandits, another integral ethnic group of the pluralistic State of J&K. An experienced leading industrialist of Jammu having knowledge of QA/QC services and support. Masters in Human Resources, XLRI, Jamshedpur. Worked with various MNC's around the globe, Gayatri Sharma having specialization in Human Resource Management helps the organization focus on related issue. She brings deep and functional expertise. The legal advisor to the organization providing legal assistance, organizing various legal activities, completing them, creating legal documents and advising the organization on all the relevant legal issues. Sanjay Mehra, with his insight business analysis and disciplined approach, his knowledge articulate the need for change in how organizations work, and to facilitate that change and define the solutions that will maximize the value of an organization. Assistant. Professor, The Business School, University of Jammu. Dr. Komal's expertise expands to Adversity, Consumer Behaviour and Branding.